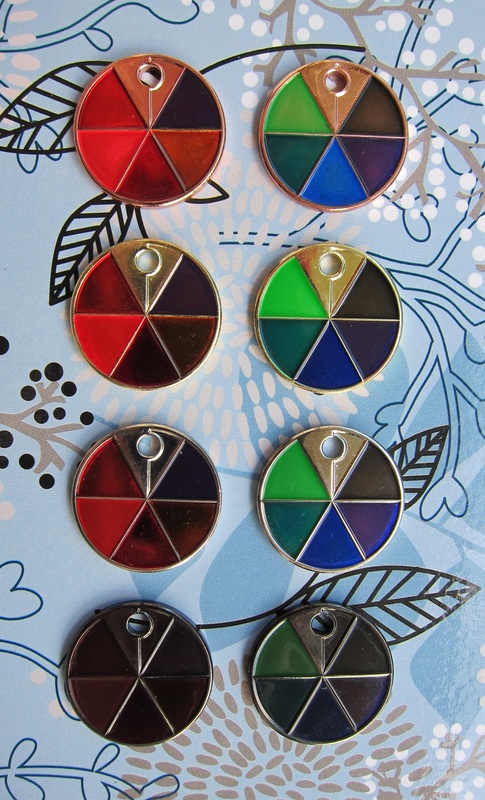 In line with my metal casting obsession, I considered creating colour filled coins as well as charms. 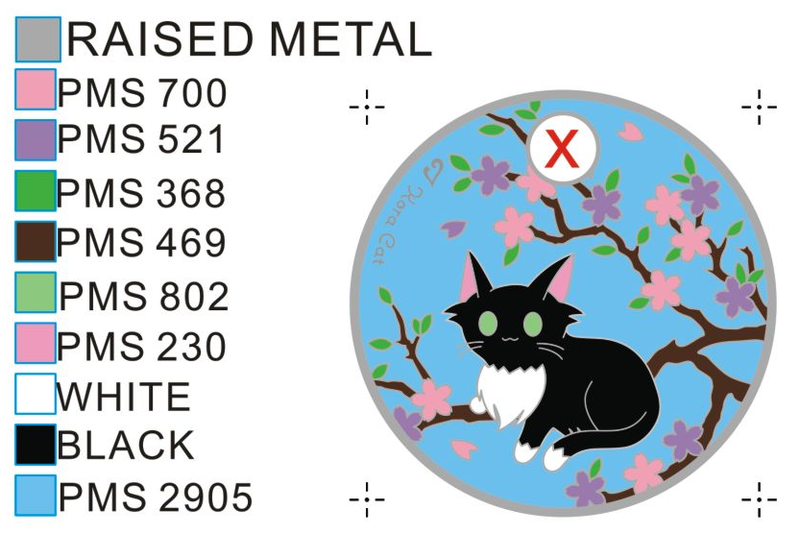 So a few months ago, I began drawing up plans to submit some of my designs as Pathtags. 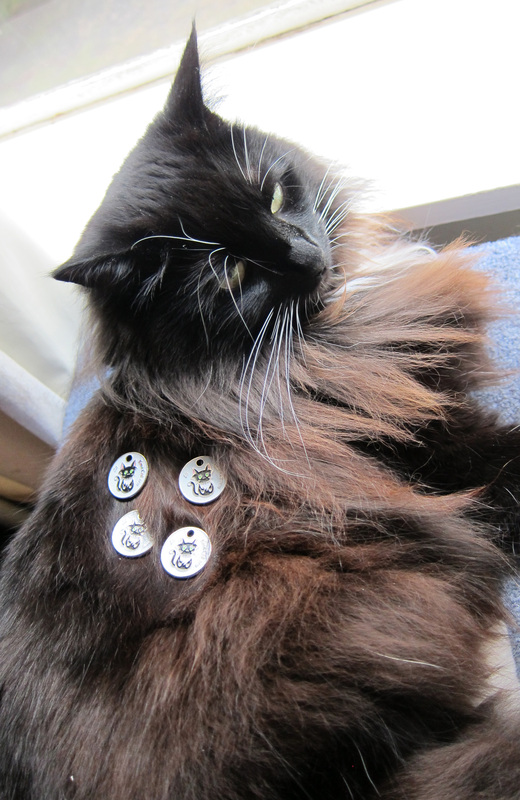 I will be writing about my experiences with creating all of my Pathtags here. Pathtags.com does a good job of explaining what Pathtags are. 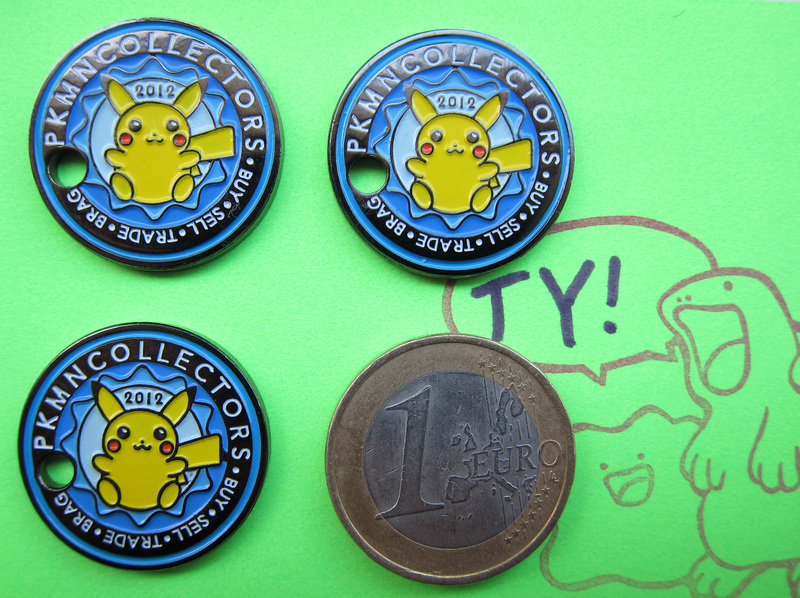 In summary, they are custom collectable coins, made of a plated iron base. 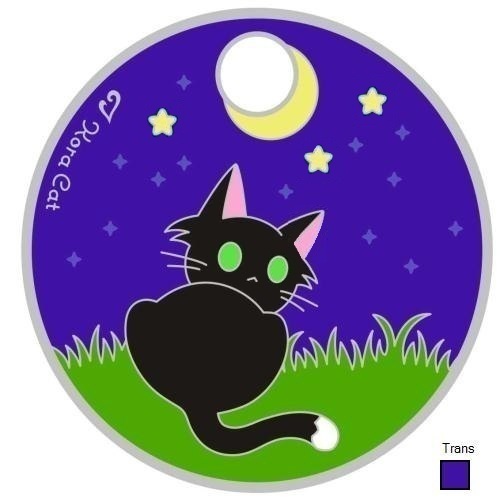 Pathtags are also often used as signature 'swag' items for geocaching. 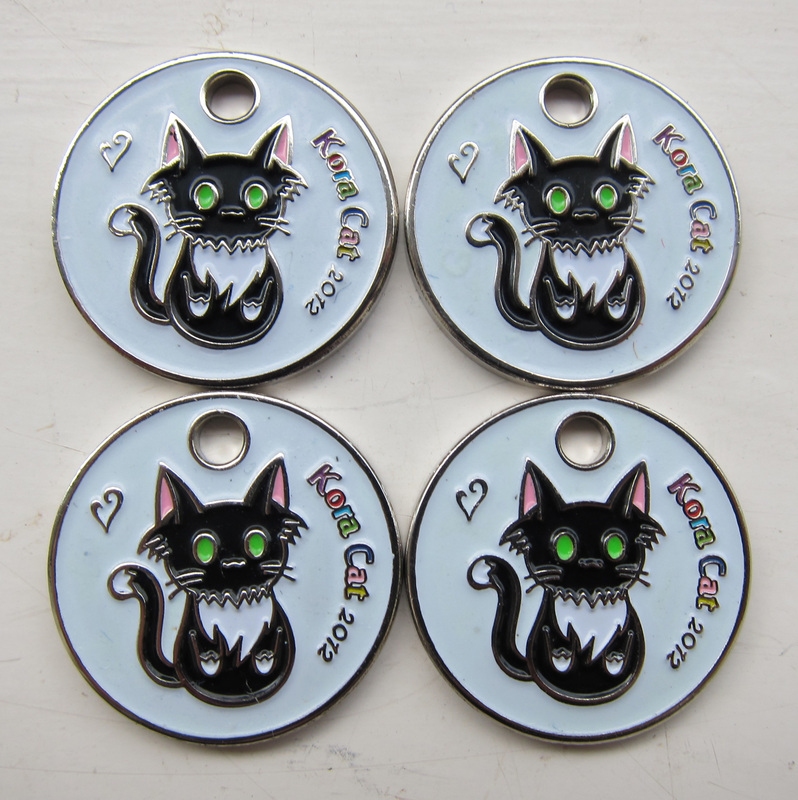 The given dimensions of their tags are 23mm in diameter by 2mm thick. 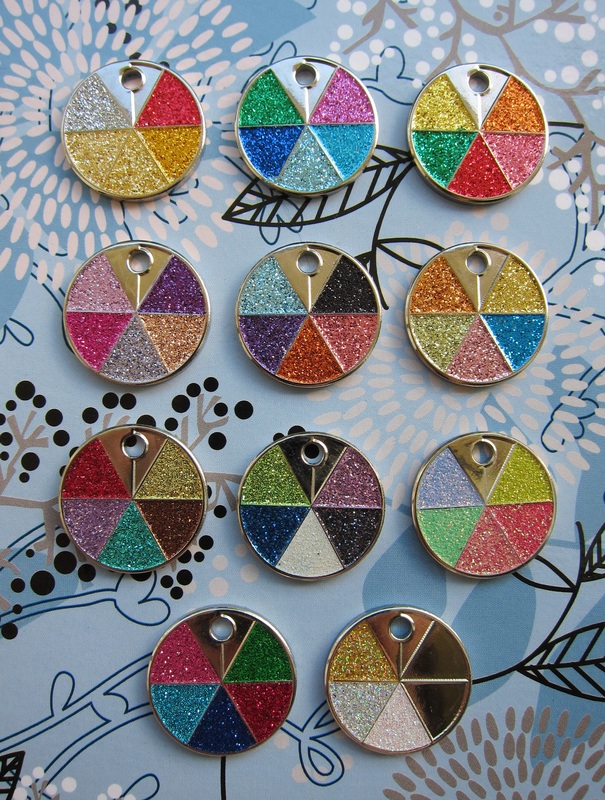 The website also gives out helpful information for tag designers, listing special enamel colours, all the steps in the ordering process, available tag backs, prices, and even the casting process. I had a good look through the tag gallery, and was amazed at the amount of detail that seemed to be possible for such a small area of metal. However, I soon learnt that the number of colours per tag had recently been limited to 10. This was kind of a big deal for someone who loves multi-coloured things. :'< But I also understand that nobody wants to be hunched over one tag for half an hour with twenty syringes loaded with rainbow enamels. 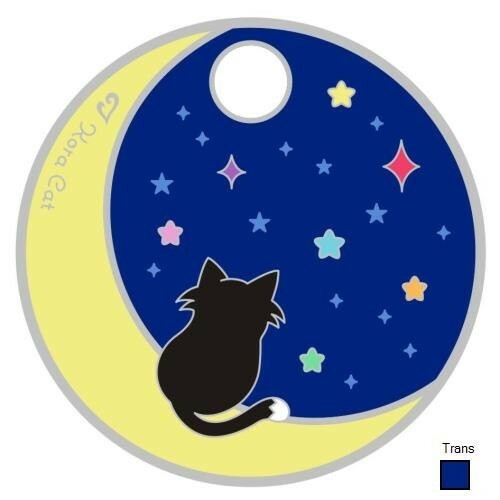 So, after combing through the website and forums to get a better grasp of the creation possibilities, I placed my first tag order just in time to qualify for the glow enamel promotion. There has just been one problem so far, and unfortunately it is a very significant one. 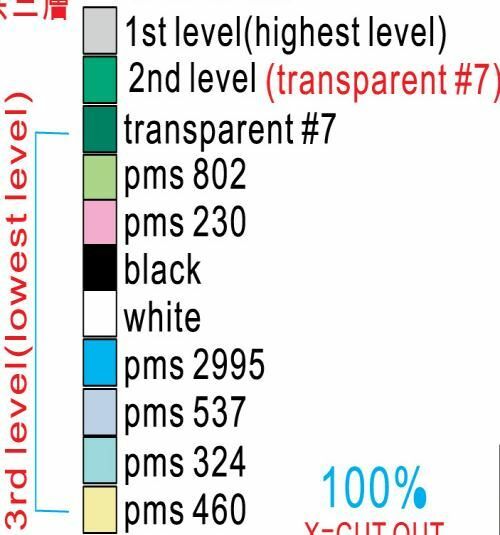 The allocation of blueprinters seems to be both random and permanent, so there is no guarantee that every design I submit will end up being made of the same quality. Luckily for me, I am quite patient with working on large numbers of revisions until the factory gets the artwork correct. I have worked with non-English speaking metal casters before and they have persisted through the language barriers to create a good product. 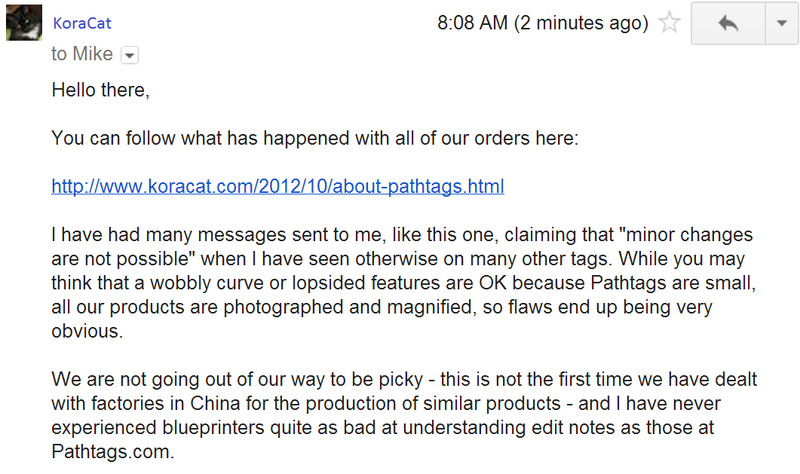 This does not seem to be the case with Pathtag blueprinters. From what I can gather from my own first experience and other reviews, some of their blueprinters may throw in the towel if you reject their ready blueprints several times. If this occurs, your options are to either submit a new design, demand a refund, or be forced to accept the last rejected blueprint. I'll be adding my first hand experiences with the quality of Pathtag craftsmanship. 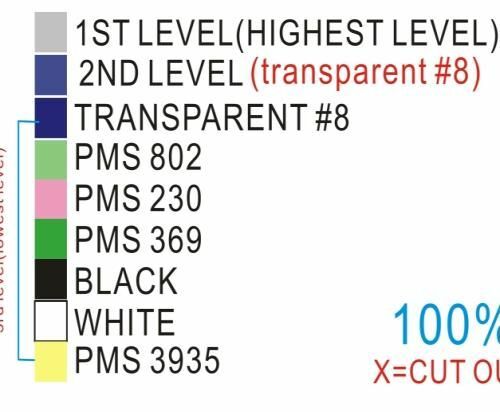 I have read about enamel filling errors on a PkmnCollectors community glow-in-the-dark tag, where 30/150 tags were flawed. But I do know that I have seen photographs of many beautiful and detailed finished designs though, so we can assume that most of the completed tags are of great quality until further developments. My first impression was that they were very intricate, more so than I thought would have been possible for a coin of such a small size. The black nickel plating actually looks a lot like gunmetal silver, while I was expecting it to be pitch black. Tag #1: Underfilled - Pikachu's ear on the right side and foot on the left side of the tag are slightly underfilled with yellow enamel. Not a huge problem, just that I can see some black nickel underneath these areas. Tag #2: Debris - There is a small bump embedded in the enamel near the letters D and E in 'Trade'. It's a solid chunk of factory debris. There are also some smaller granules of debris stuck under the enamel around a few other areas of the tag. Otherwise, this tag is fine. 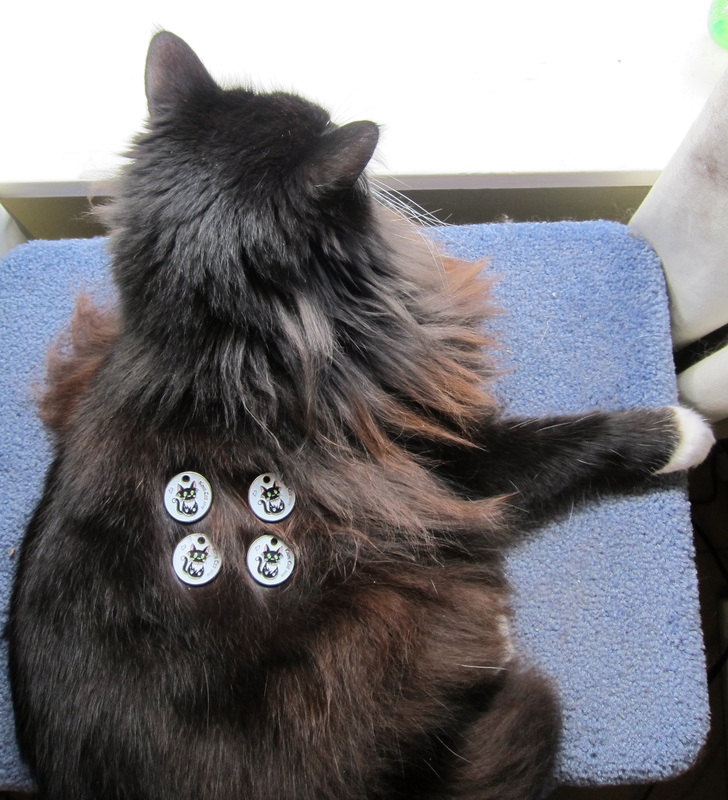 Tag #3: Debris - There were two small bumps embedded in the enamel near Pikachu's tail. Brushing my finger across the debris resulted in them chipping off, and subsequently the enamel they were stuck to flaked off. Now I have two areas where I can see right through to the black nickel underneath. Slanted Serial - The back of this tag also has the serial number stamped on crooked. There is white enamel over some of the yellow also, which might be related to the wonky serial. There was also some dark green enamel painted along the edge of this tag. 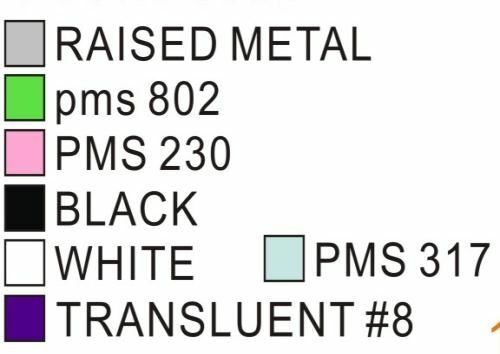 There seems to be a bit of difference in the metal outline thickness between individual tags. Tag #3 has a thicker design outline, which I thought actually looked better than the other two thinner outlined tags. Unfortunately, Tag #3 also had the most production flaws. Everything about the product is explained. There are a few spelling and grammar mistakes through the text. Easy and is completed step by step. Paypal lets you pay instantly. 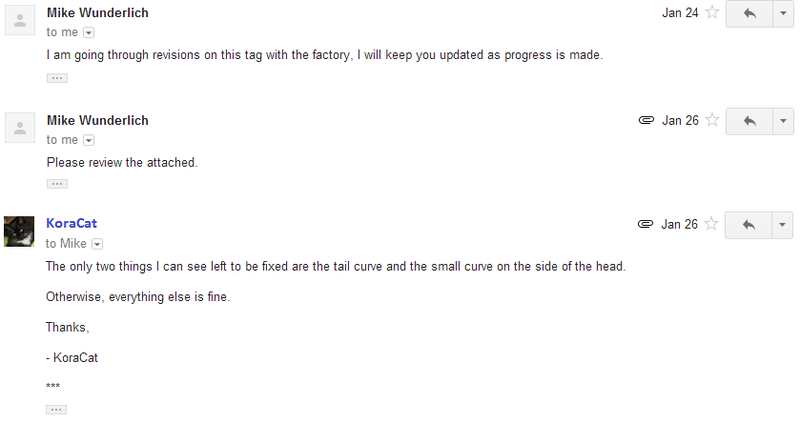 The factory doesn’t seem to be able to comprehend edit requests in English, and so their solution seems to come down to ignoring everything. Would not even attempt to do a design which wasn’t immediately simple. May Arceus have mercy on your soul if you need to explain any design elements to the blueprinters here. Lacking. I did receive a response to general queries within one or two days, even if it felt like they were completely apathetic towards me. 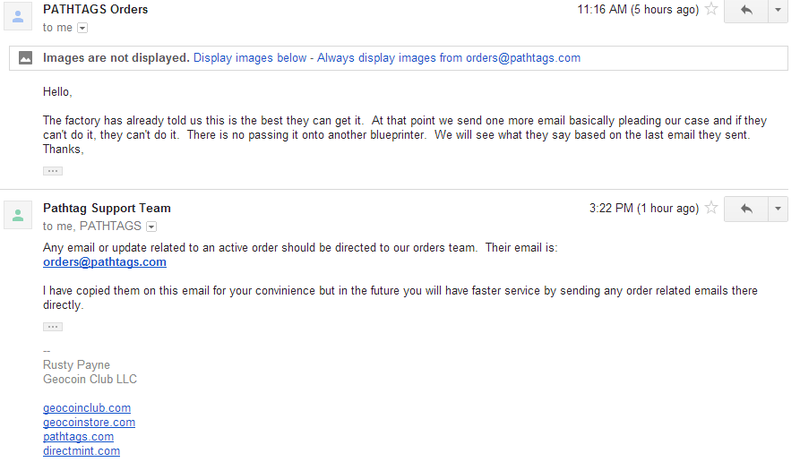 I got very little response from Pathtags.com in reply to any kind of issue or complaint I made. The orders department is generally unhelpful, while the support department doesn't care about any problems regarding active tags. Responses are peppered with spelling and grammar mistakes. I don’t want to be the language police, but I found it a little unprofessional and a barrier in communication. Oh, and apparently the factory is king. Good overall. The metal outlines are very fine and look just like the blueprint. There are issues regarding debris being embedded in the enamel filling, as well as minor filling mistakes - but these are not immediately obvious flaws. Glow enamel does seem to cut into quality quite a bit, but this is probably more to to do with the special enamel itself. On September 26, I made my first tag order. 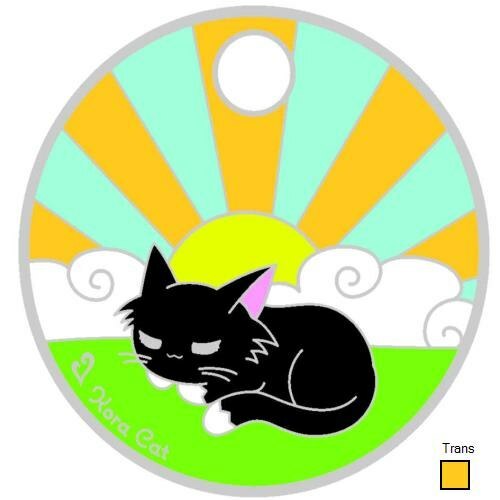 I thought the design I submitted was fairly simple, and I also wanted to take advantage of their free 'glow' enamel promotion. Around five days later (October 1), I received a notification which advised me that my first 'production ready' blueprint was available. I took a look at it, and the body outline of my design was done perfectly, but the face left something to be desired. On the same day, I rejected the blueprint and listed the five issues in bullet point form. 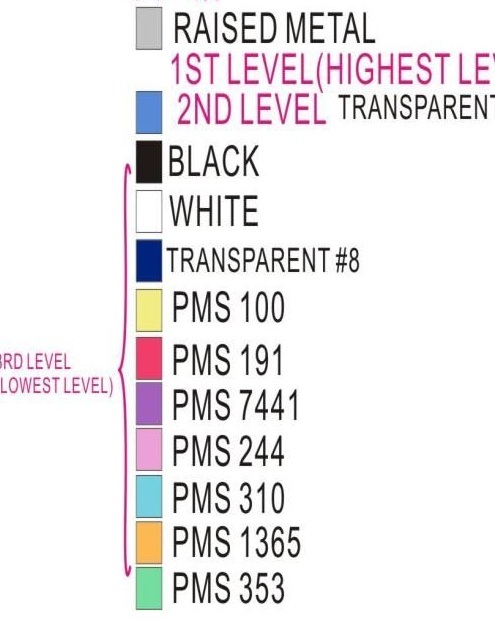 I mentioned problems with eye size, the mouth outline, the outline on the lettering/logo, and the PMS colours in accordance with their 10-colours-per-tag rule. Three days after this (October 4), I received another production ready blueprint. This time, I rejected it with three issues about the eye size, the mouth line, and a small difference in the design outline. Knowing that the factory probably didn't speak great English, I also attached a larger version of my original artwork for them to trace. Two days afterwards (October 6), another ready blueprint was posted. This time, I noticed that each blueprint I received had a different tag shape, and my design was stretched along with them in each one. I sent them a message explaining this issue, and the same blueprint was posted again in the same day, but without the tag distortion. I rejected this blueprint on October 7, as the face was still not traced and the small difference in the outline I mentioned during the last revision was not corrected. I noticed that the 5th, 6th and 7th ready blueprints I was given had no changes made to the artwork. Instead, the tag template was just stretched out in three different ways. The 3rd and 4th blueprints were also of the same artwork stretched like this. Another ready blueprint was posted by the blueprinter on October 10, which I again rejected on October 11 for the same reasons as the last one. 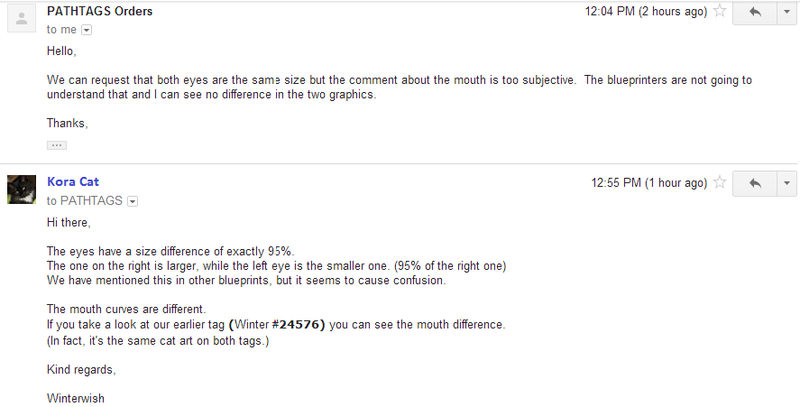 I sent an annotated version of their most recent blueprint this time, pointing out the two issues. In additon, I took one of the earlier rejected blueprints, and edited it myself to show exactly what the actual final artwork should look like. Finally, on October 25, another production ready blueprint was posted, with the eyes again the wrong size. So, I rejected it again on the same day with more annotated notes and another attachment containing the same edited final blueprint which they failed to trace earlier. 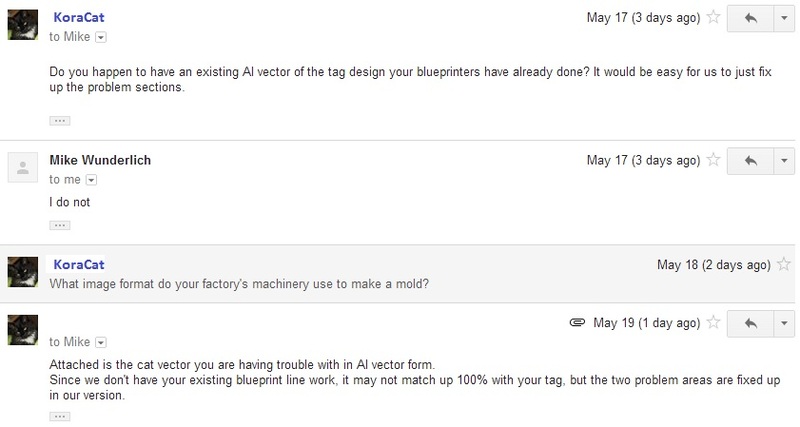 Another ready blueprint was posted late in the evening on October 29, a few hours after their replies - I guess the factory decided to take another crack at my design. I was not informed about their final decision, and received no apology or any further communication about the issue. There was still a slight difference in the eye sizes, but this latest blueprint was finally close enough for me to approve. This blueprint was accepted for production at around 23:30 on October 29, 2012. Four of the tags were separated from the rest, and came with a free holder. These were the flawed ones which were picked out, I believe. Most of the problems were because of the glow enamel setting strangely, or debris being stuck in the enamel background. None of the tags look terribly flawed, but there are minor issues here and there. It seems like glow has an impact on enamel quality. But the blue glow color is gorgeous, so this is a trade-off we need to make for having it. The glow background is actually much closer to white when seen in daylight, which is what I was hoping for. A few of the extra tags will be put up in the online store shortly. We will probably reorder this signature tag again in the future, to drop into local caches. On October 7, I made my second tag order. This was also a fairly simple design, except I wanted to try my hand at casting half-raised metal. I was sent two warnings advising that this process voids the Pathtag warranty. I received the first ready blueprint on October 10, which unfortunately ignored all the coloured stars shown in my original design. 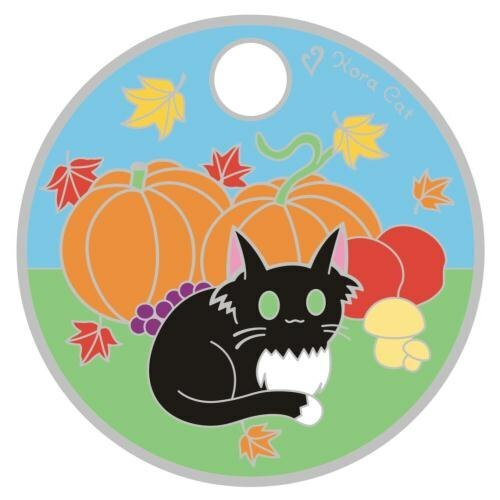 On October 11, I rejected this with notes about the shape of my cat design, all the stars, and the removal of some glitter enamel which I did not ask for. On October 20, another blueprint was posted for review. The stars were coloured this time, but there were still issues with the cat shape, positioning of logo text, and the correct half-raised metal areas. 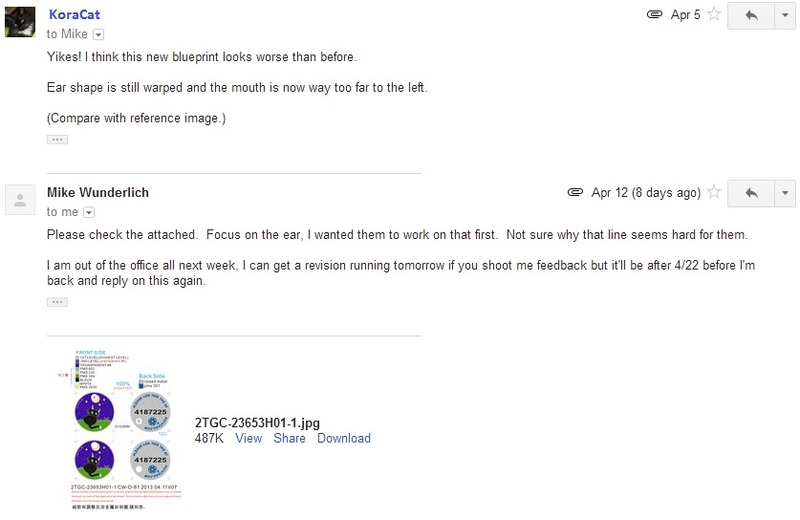 This blueprint was rejected on the same day with annotated notes and my own edit of what the artwork should look like. Sadly, the tag template is still being stretched into different shapes with each blueprint, warping the artwork with it. I don't understand why this always occurs. The annotated notes and comparison blueprint seemed to clear up some of the language barrier issues, because quite a good production blueprint was posted on October 23. There were still two very small edits I wanted to make to the outlines, but otherwise it would have been accepted. This blueprint was rejected on October 23, hopefully for the last time. The last blueprint was posted on November 2. The red star still looked a bit odd, but not so much as to justify another rejection. This blueprint was accepted at around 10:05 on the same day. Four of the tags were separated from the rest with free holders for this tag too - I'm thinking you probably get these with every order regardless of quality control. The flaws I got with this tag are a little worse than our previous tag - there are a few tags with a section of translucent background completely missing. The raised metal details turned out well, although not quite how I expected it to look. On October 30, the first production ready blueprint was posted. It looks like designs might be run through an automated blueprinting process initially, because a lot of detail was lost. This blueprint was rejected a few hours afterwards, with attachments and comparative notes for 8 different fixes. The second ready blueprint was posted on October 31 and rejected on the same day. Everything in the background had been enlarged due to filling issues, so I had to give up on enamel filled snowflakes. 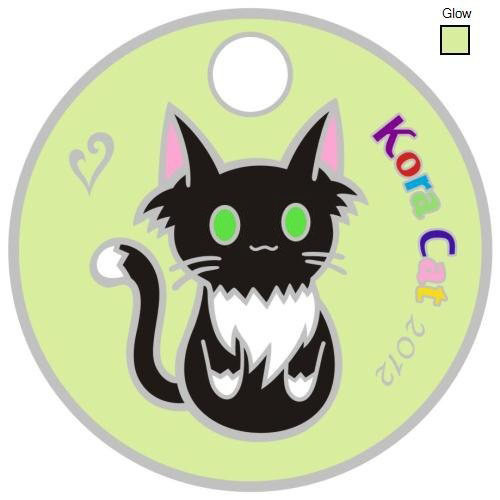 They got the cat outline right though. The third blueprint was posted on November 2. The snowflakes looked okay this time, but many requested changes were ignored from the previous edit. This blueprint was rejected the next day with notes. I replied to both the orders and support departments, requesting that they please try do their job. No response, refund or new ready blueprint has been received as of five days later. At this point, I'm pronouncing this original Pathtag set as a failure due to the many horrific blueprint issues I have encountered thus far. I will probably have the set created (as I intended them to look) with a different company in the future. Should this set ever be created by Pathtags.com, it will not count as a complete project. The design has already been too oversimplified to reflect the original, so the whole Pathtag set would be renamed and released only as a rough experiment. On November 12, another ready blueprint was posted after I sent several unanswered messages to the orders and support departments. They seemed to have received the simplified artwork I attached, but made absolutely no effort to fix any of the issues or changes I had mentioned earlier. Needless to say, this ready blueprint was rejected on the same day. 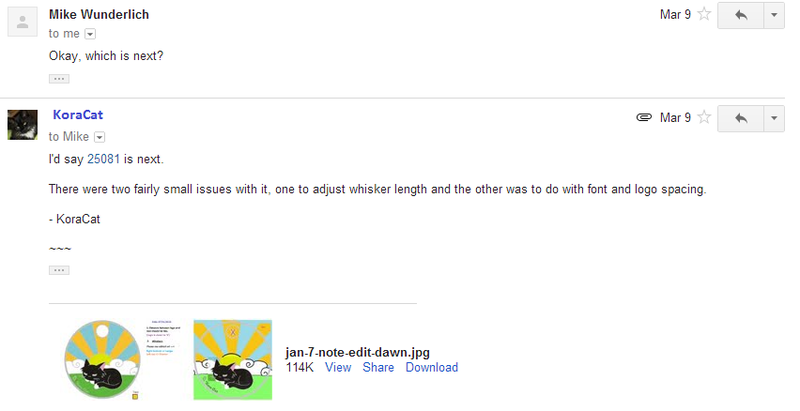 I am not sure if the blueprinters are not comparing the art I am sending or just being extremely lazy. 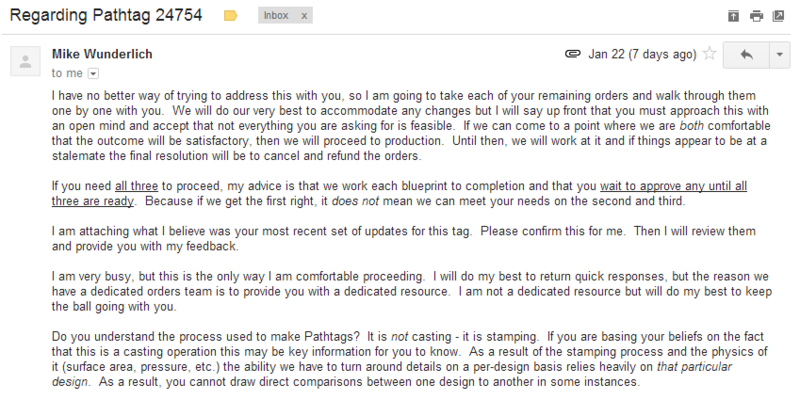 I do not believe I will receive any response from Pathtags.com about my concerns regarding this tag. Another ready blueprint for this tag was posted on the morning of November 13. This one looked like a much better effort than the previous offerings, as most of the fixes I noted were corrected. I received a message stating that my snow circles where still too small to be filled, although I noticed that several existing Pathtags in the gallery had even smaller filled areas of snow. I guess they really couldn't be bothered with my tag? 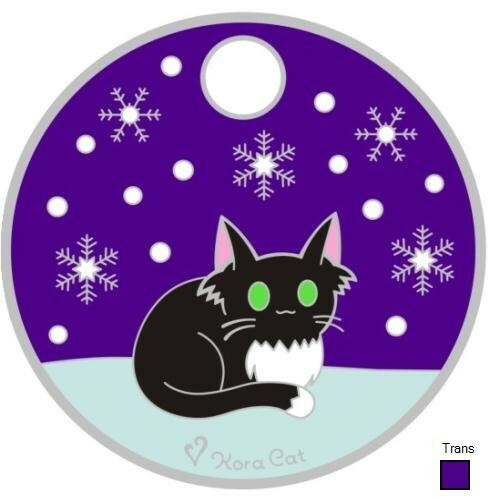 In any case, I still need to enlarge the snow for it to be colour filled, but otherwise this tag is ready for approval. A second production blueprint was posted in the evening of November 13. The filled snow was slightly enlarged, but added in the positions I wanted. I decided to approve this blueprint at around 22:58 that evening and hope for the best. There were slightly worse flaws with this tag batch than the previous ones. Other than the usual debris and odd bits of fluff embedded in the enamel, with this tag there were metal flaws. Not huge ones, but parts of the outline or the tag edges have marks or 'chinks' etched into them. 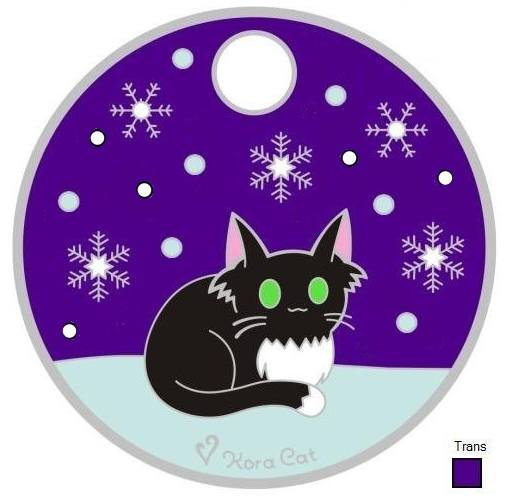 The design itself turned out well with the snow and the translucent background. This tag is number one in a full set of six. The release date is 27/06/2013. Another tag was ordered on November 10, as scheduled. 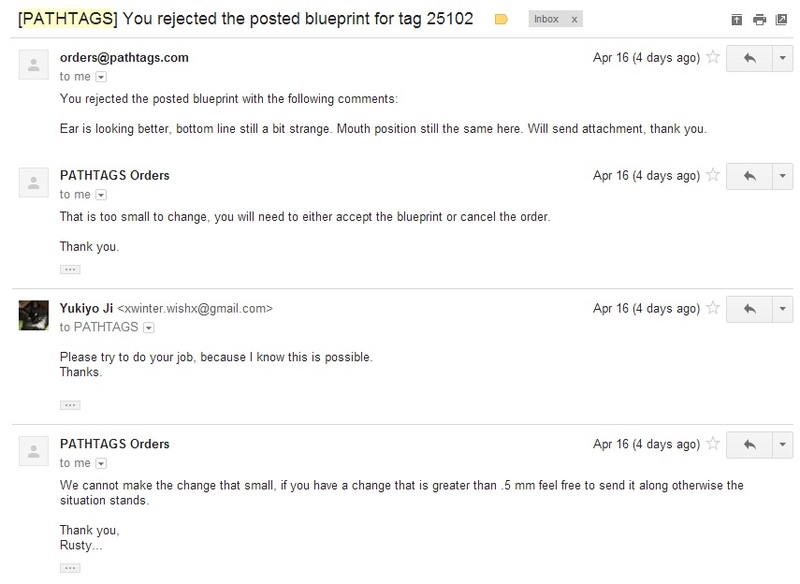 There has been no response from Pathtags.com about the status of tag #24576, but I will assume that their blueprinters do not have the ability to create the original design. Because of this, all the designs in this set have now been simplified especially for Pathtags.com. Hopefully now there will be less problems with the ready blueprinting. The first ready blueprint was posted on November 14. And... it was actually pretty good for a first blueprint. I was expecting a lot of detail to be lost or turned into solid metal, but it wasn't simplified as much as I was expecting. The cat's outline looked unsteady though, and I needed to make some changes to my tree branches. Another second blueprint was posted on the same day with a few fixes. I had to redraw all the tree branches to have them coloured, and I also changed a few of the PMS colour codes. Both blueprints were rejected with annotated notes shortly after they were received. The fourth blueprint was posted on November 19. The artwork is gradually improving a little at a time with each rejection. I think if they can get the cat right next time, we should be close to approving this one. Not too bad, considering this is the most difficult design we have! 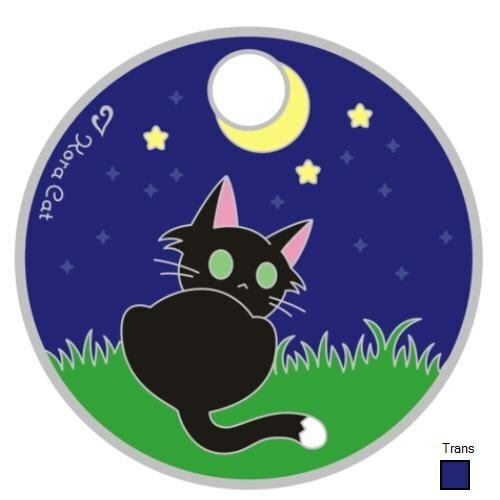 As a reward for this stream of recent blueprinter patience, we have ordered a Pathtag Color Sample Kit from geocoinstore.com. I'll add some photographs of all the sample colors in this log upon arrival. Nothing new happened until December 19, when I was sent the same fifth blueprint again. 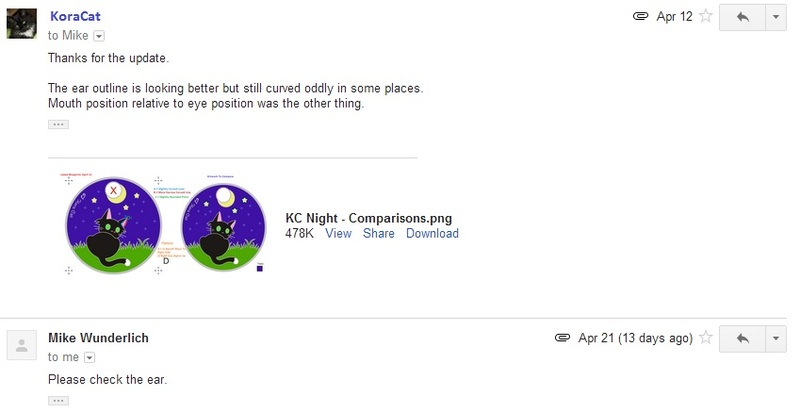 It was rejected on the same day with the same edit notes as I sent on November 21, all about the various cat outline issues. I have no doubt that this was sent out of blatant laziness, considering the lack of work that has been done on this tag since November. On December 28, a new blueprint was finally posted for this tag. 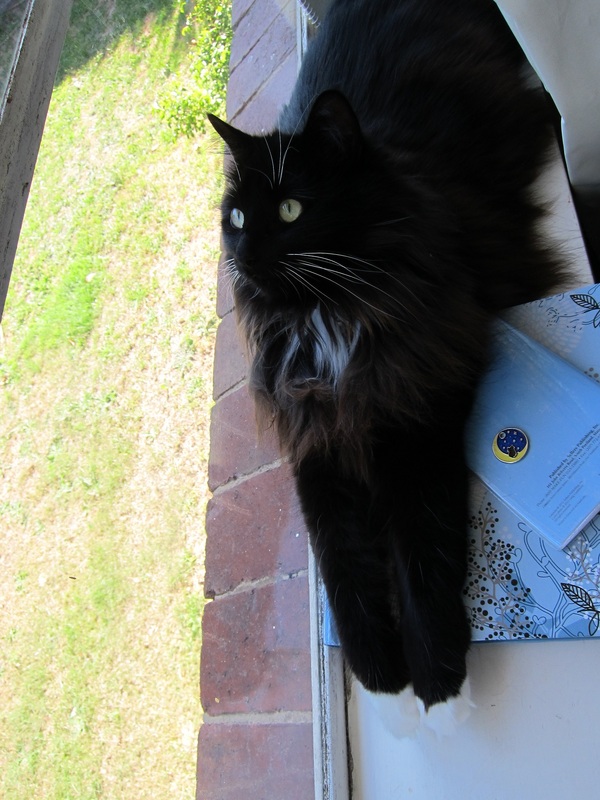 It seems that they have done some improved tracing on the cat. A few minor issues remain to be fixed before approval. This blueprint was rejected on the same day with edit notes. Another ready blueprint was posted on January 3, 2013. It seems like someone has retraced the cat, although a few parts of the outline have some serious warping issues now. I do think it has slightly improved from previous attempts, though. This blueprint was rejected with notes on the same day. As further expanded in the 'Further Notes' section below, we received a message from Mike on January 17 regarding the slow progress of our blueprints. Basically he wanted a forced cancellation of all the remaining tags in our set, which would have ruined the entire purpose of us producing the first five tags in the first place. Eventually he agreed to work on the remaining three tag designs personally, and if we could agree on all three of the blueprints, then our tag set would finally be made complete. This batch of tags has an abundance of small problems. There is lots of minor debris embedded into them, and areas of thin or scratched off enamel fill. Something also seems to be off with the mouth line on this one. It appears prematurely truncated on many tags of this design. This is the most difficult tag artwork I have done, so although it is quite a beautiful design, there are some sacrifices here on quality because of the intricate details. This tag is number two in a full set of six. The release date is 27/06/2013. And the first blueprint was posted on November 22. It was beautiful, possibly the work of the same employee who gave us blueprint number five on our previous tag. The background was perfect on the first try, although the cat needed a few fixes as usual. I would like to sincerely apologise to any blueprinters who are now seeing Kora Cat in their nightmares. On November 27, a second blueprint was posted. It was completely identical to the first one, so nothing that I noted during the first revision had been changed. I rejected this blueprint thinking that someone had posted it again by mistake. The next day I noticed that the second blueprint had been replaced with the new one. I discovered this by chance, no notification was received to tell me that the mistake had been fixed. Some of the notes I made on the cat previously were not fixed, so this blueprint was rejected on November 28 with the usual notes. On November 29, another blueprint was posted. 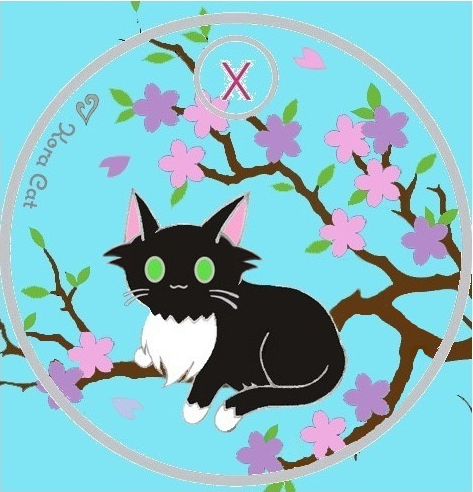 All the background elements are okay now, but the same issues remain with the cat outline. This blueprint was rejected on the same day with the previous cat fixes noted. Blueprint number four (or five counting the one which was posted in error) managed to have the number of cat outline fixes left whittled down to three minor points. I also mentioned that there seemed to be a PMS color on the shell missing from the legend. This ready blueprint was rejected on December 1 (the same day) with the usual edit comparisons. On December 4, ready blueprint number five (or sixth counting the mistake) was posted. Three issues remained unchanged from the last edit, and for some reason the paw outlines had been warped. 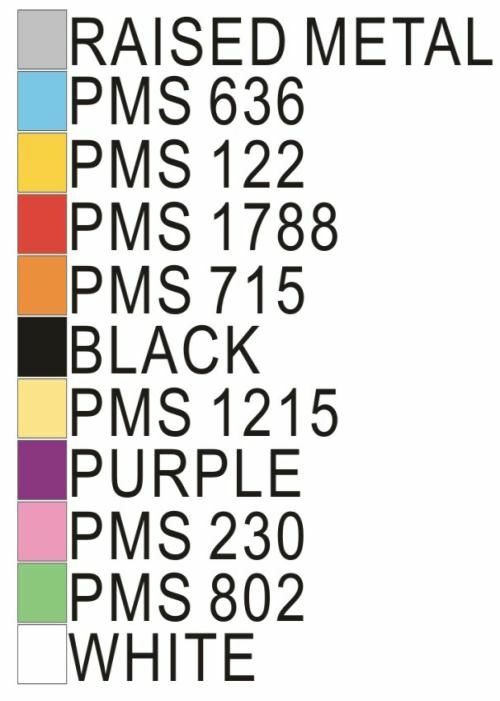 No mention of the missing PMS shell color, and I think they are still not comprehending the whisker issue I keep mentioning. All in all, I think this one was a step backwards. The seventh (or eighth) blueprint was posted on December 11. This is insane! They have moved one whisker slightly to the left. That's all. 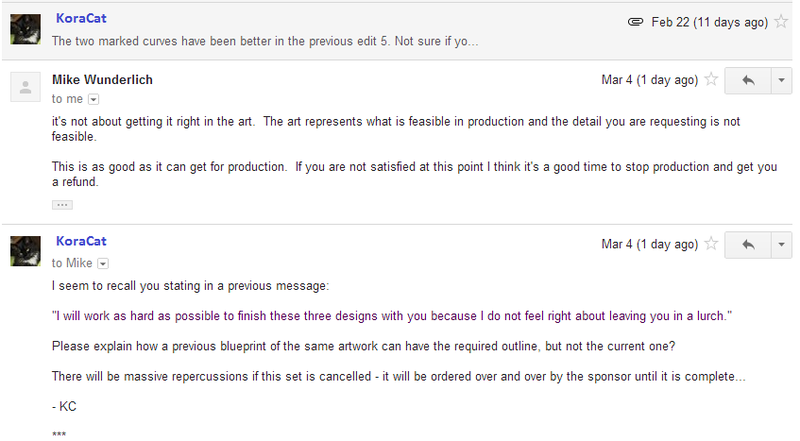 D: I have been sending them the same unresolved edit notes for weeks now. The best part is, they actually had the paw right in their earlier edit 4, but cannot fix the warping they somehow made to it later. This ready blueprint rejected about 10 minutes after it was received. Another blueprint was posted late on December 11 - ready blueprint number eight, not counting the earlier mistake. They have fixed up the remaining paw this time. And now, we await for that one left whisker to finally be fixed before approval. :P This blueprint was rejected about 40 minutes after it was received. The final ninth blueprint was received on the morning of December 14, in which the whisker lines were fixed to match the other side. This ready blueprint was accepted shortly afterwards at around 09:30. This batch of tags was generally pretty well done. There were a few minor filling accidents but none which were too noticeable. The translucent green ocean area also turned out nicely. This tag is number three in a full set of six. The release date is 27/06/2013. Tag number four in this set was ordered on November 28, as planned. This one has the second most background detail, but I don't think it is too difficult compared to our previous Spring tag. The first blueprint was posted on December 1, and it was quite good. 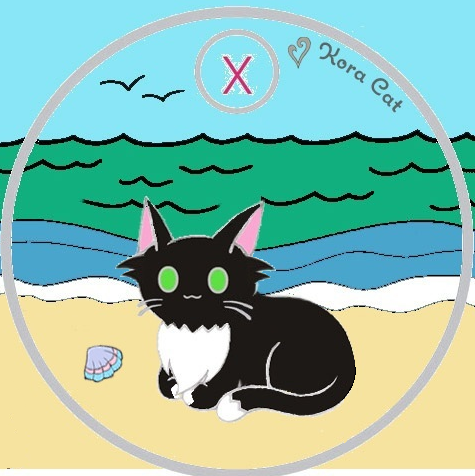 Minor line editing was needed, as well as two small fixes on the cat art this time. I somehow didn't realise that I had used 11 PMS colors on the artwork instead of 10, so I reduced the color on the mushrooms to just one. This blueprint was rejected on the same day with notes. Ready blueprint number three was posted early on December 6. It looks like the eyes have been fixed, but nothing else. I'm pretty surprised they managed to get the eyes right this time, actually. The mouth line remains terrifying, it seems they didn't get around to tracing it off our earlier tag. This blueprint was rejected shortly after it was received. On December 7, blueprint number four was posted. They traced the mouth line from our earlier tag - although none of the minor line fixes on the pumpkin we mentioned was changed. The policy seems to be that we get one single thing fixed for every rejection. The blueprint is so close now that it was a shame to have to reject it this time... I will give up on the other minor outline edits I wanted if they can move the mouth line into the position I specified. Another blueprint was posted on December 12. It looks like they have shrunken down the tag template size and changed nothing on the actual artwork. This blueprint was rejected on the same day. Blueprint number six was received on December 14. No change was made to the artwork, although the tag template size was further shrunken and the mouth line was made thinner for some unexplained reason. I have tried to explain the mouth position change twice earlier, but perhaps I have been unclear - this time I just said I moved it up slightly. This blueprint was rejected shortly afterwards on the same day. On December 19th, I got a query from the orders department asking which tag I wanted them to copy - Once again, I pointed them towards tag #24576. The final ready blueprint was posted on December 28. 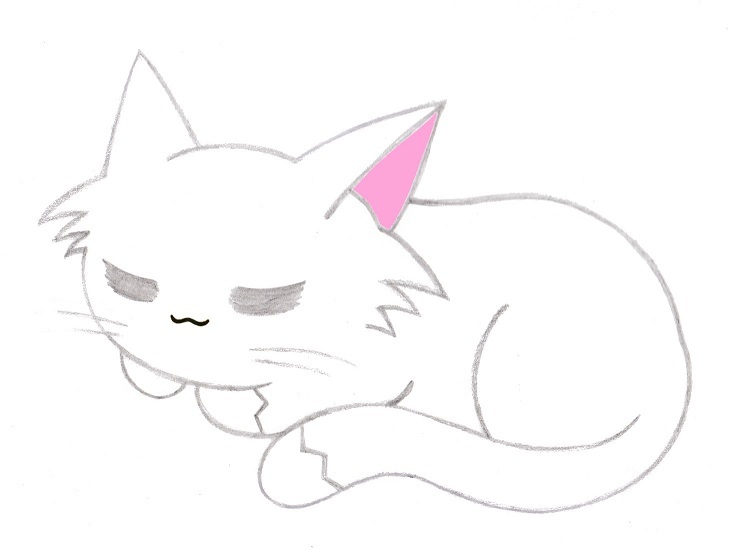 The cat artwork has been traced from tag #24576. Although I approved this blueprint on the same day at about 19:45, there seems to be some stretching of the tag template and a faded coloring problem. 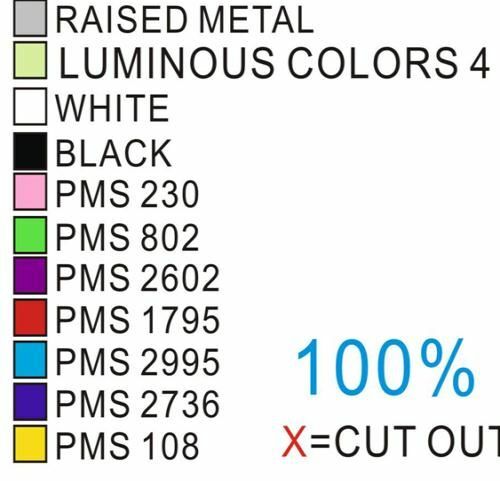 Apparently, the color fading can't be fixed once the blueprint is factory approved. There were two cases of filling errors with this tag batch, and most of the other flawed ones were to do with embedded debris. A bit of variation exists with the mouth line, with one tag having the metal outline snapped down the middle. Otherwise, the rest were done fairly well. This tag is number four in a full set of six. The release date is 27/06/2013. And the torment continues with our fifth scheduled tag in this set! :P This one was ordered as planned on December 7. I think the design background is much simpler in these two last tags, so it should be a less frightening blueprinting experience. The first blueprint for this tag was posted on December 12. The blueprinter has done quite an impressive job with the cat artwork this time, as it is better traced than any previous blueprint we have seen thus far. For some reason, the font and logo has been enlarged to a ridiculous size, so this must be fixed. Translucent #4 is colored a lovely shade of poo-brown in the legend, although I think it appears as dark orange under most lighting. The cat is looking pretty good already, almost a perfect trace. A minor whisker elongation and eyeline balancing, then it will be fine. It should be noted that for this tag, we sent in an original full resolution pencil scan of the cat artwork, which may have helped. This blueprint was rejected with edit notes on the same day. 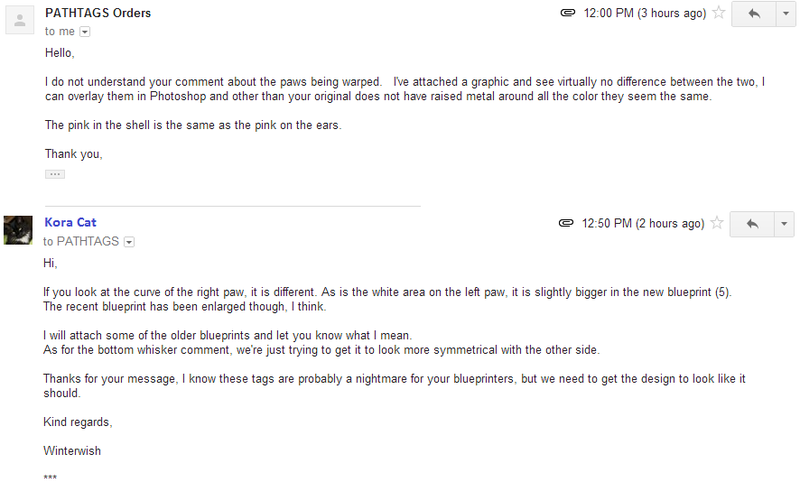 I later sent another piece of edited artwork in an attempt to make the eyeline thickness issue easier to solve. As far as I can tell, either they could not understand what I wrote, or they have ignored it. Blueprint number two was posted on December 16. They made the eyelines thinner, and it looks okay despite them not following what I suggested last time. The logo has been resized correctly, but now it is in the wrong position. The text remains huge and unchanged from the last edit. They seem to have misunderstood what I wrote about the whisker length last time, so now it actually looks worse in this edit. This blueprint was rejected with notes shortly after it was received. The third blueprint was received on December 19. The logo is now the right size and in the correct position. 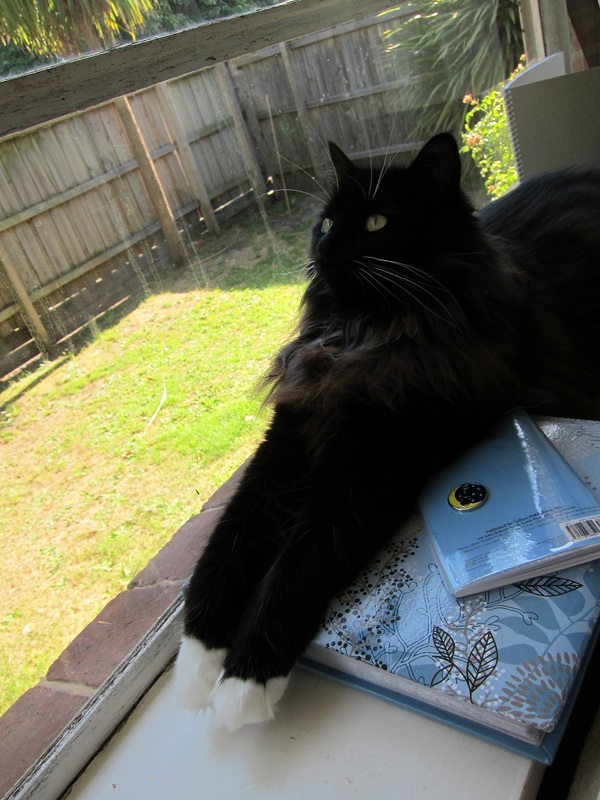 My notes regarding the whisker length, text positioning and translucent color have been ignored. I do not know why, but in this edit each letter in the logo has a huge space between them. This blueprint was rejected on the same day with very similar edit notes to the last attempt. The fourth blueprint was posted on December 20. The logo and lettering is still in the wrong position with excessive spacing. All other notes were ignored, so the blueprint was rejected on the same day with notes. This time I asked them to open the attachment notes before trying to edit. On December 28, a fifth blueprint was posted. The logo is in the wrong position and the whisker issues remain. The translucent orange on the sun rays has been corrected. This blueprint was rejected on the same day with notes. A sixth ready blueprint was posted on January 3, 2013. There doesn't appear to be any change from previous edits at all. This blueprint was rejected on the same day with the same edit notes. Blueprint number seven was posted on January 7. The whiskers are looking better than before, although they aren't corrected yet. The spacing issue between the logo and text still remains unchanged. This blueprint was rejected shortly after it was received with edit notes. Along with the usual debris embedded within the enamel issue, this one also has the 'orange translucent color which actually closely resembles brown' problem. Looks a bit off in the shade but the orange shows up better under sunlight. I might switch the sun rays to the translucent red or regular orange fill next time. This tag is number five in a full set of six. The release date is 27/06/2013. The first ready blueprint was posted on December 19. It was a good blueprint, although not as impressive as the one we got for our previous tag. 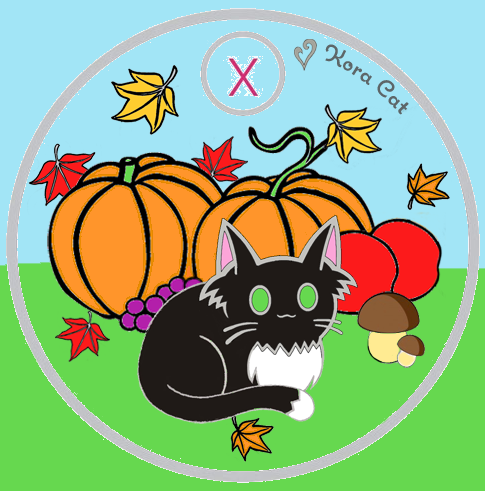 The cat has minor outline tracing issues, the grass blades have been fattened, and the star shapes are different. This design may take a while to approve considering the difficulty they seem to have with eye size and mouth lines. Blueprint one was rejected with edit notes on the same day. On December 21, the second ready blueprint was posted. The grass and a wobbly line on the cat's ear have been fixed. The other issues previously mentioned remain. This blueprint was rejected on the same day with notes. On December 28, a third blueprint was posted. While the blueprint looks quite good, there are still several differences yet to be fixed. The star shapes and the cat eye sizes still do not match. This blueprint was rejected on the same day with the usual edit notes. A fourth ready blueprint was posted on January 3, 2013. This one is worse overall than the previous blueprints, as it seems they have edited it blindly without comparing it to the original art. I think the mouth line might be fixed now, though. This blueprint was rejected on the same day with edit notes. The fifth blueprint was posted on January 7, 2013. The same issues remain with the ear curves, star shapes and eye sizes. This blueprint was rejected on the same day with some key words underlined in the edit notes. Blueprints six, seven and eight spanned over the first half of April, 2013. They were no better than previous attempts. Slight improvements were made to the ear gradually, but for some reason they shifted the mouth in the opposite way. Seems like we were not so lucky with this blueprinter for our very last tag. Pretty tragic, since if they had gotten it right this final time, they would never have to deal with getting our artwork correct ever again. :> Unfortunately, I think this last tag may take a good while to be approved. There is some obvious overfilling on the grass green with this one. 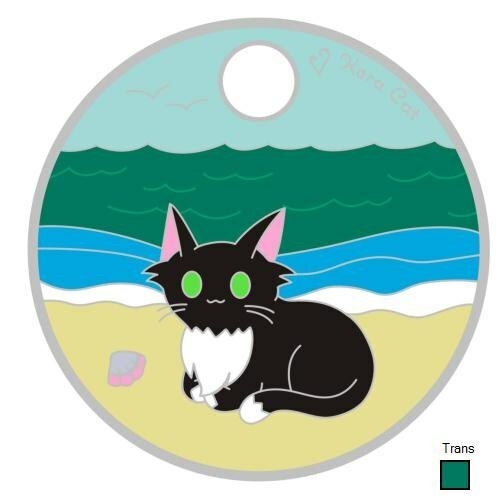 The design turned out pretty well, although I might choose a darker shade of green for the grass next time. Otherwise, a good result for my favourite and final tag in this set. I am amazed that this series is finally complete! This tag is number six in a full set of six. The release date is 27/06/2013. 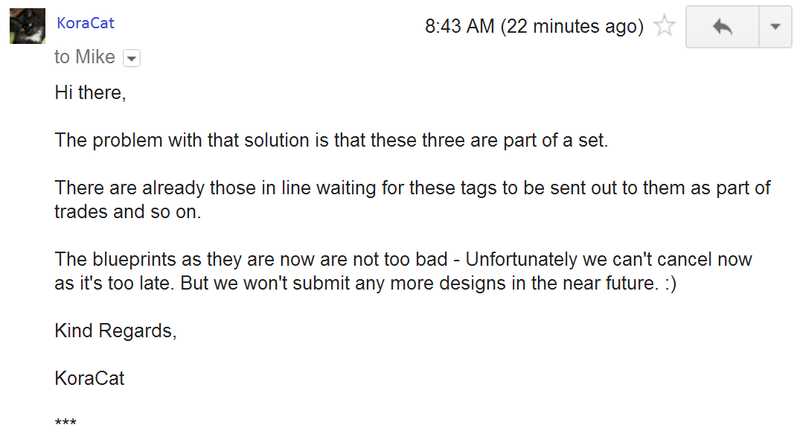 Although we hope that all our orders will be followed through to production, there is not too much we can do about Pathtags.com refusing to work on our tags. Sorry for any inconvenience this may cause, and thank you for your support. 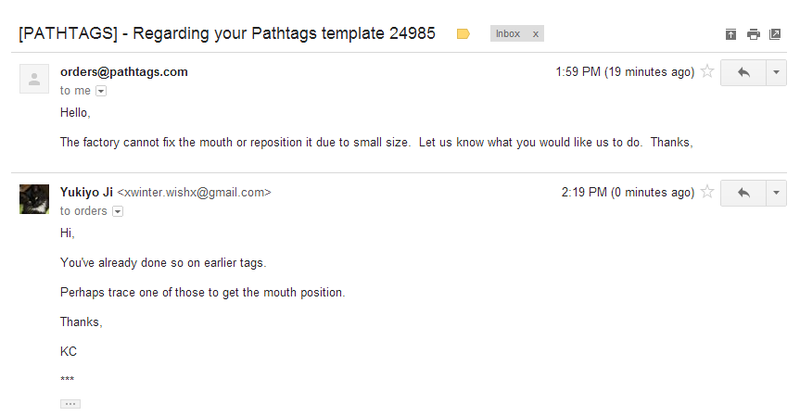 At the end of the day, Pathtags.com did indeed finish our 2012 tag set. Even if they really, really, really didn’t want to do it. But when they do get your design right, your tags will probably look pretty awesome. I have repeatedly been told that outline changes have been impossible, only to have them fixed in the final blueprint artwork. I know they can do much more than they claim, I just wish they would admit it. Take a look at the above artwork of our tag and compare the first blueprint to the submitted art. 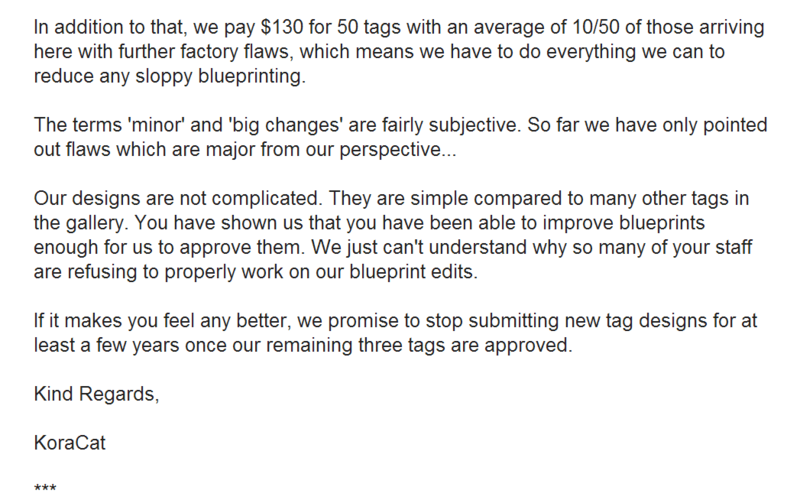 If you think their blueprint is good enough for approval, by all means order some Pathtags. You probably won’t need to reject any ready blueprints or contact customer support, so you might have a good experience working with them. On the contrary, if you believe these first blueprints resemble a child’s scribble compared to the submitted art, then stay far away from Pathtags.com. You’re probably going to have a horrifying experience trying to get anything approved. Unfortunately, we fall under this latter category. I would love to tell you to be patient with them. I would love to tell you that they will definitely get you a great blueprint after a couple of rejections. Sadly, I cannot tell you any of these things, because up until this point the communication I got from Pathtags.com has been utterly abysmal. What I can tell you is that if you are lucky, if all the planets align in your favour, there is a possibility that you may get a decent blueprint. And if you don’t, please consider getting out while you still can. 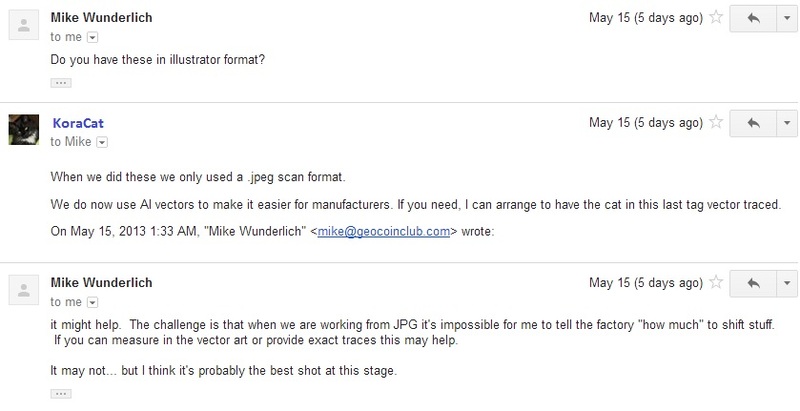 Alternatively, do not submit your artwork in .jpeg format. Provide them with your own AI vector files instead, as it may save you six months of waiting around while the blueprinters do absolutely nothing. 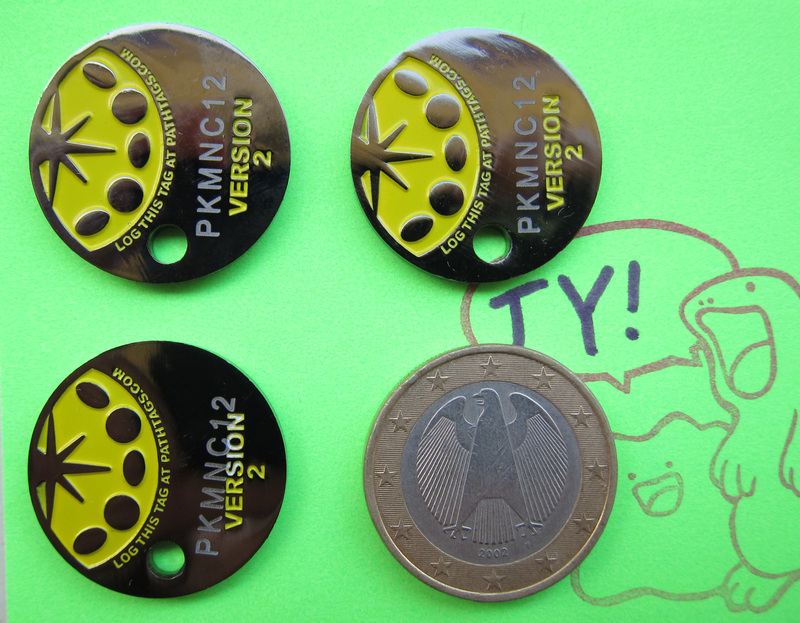 Custom collectible coins with serial numbers for logging are a great idea if you enjoy geocaching. Just remember that this niche feature is really what you are paying for when you order Pathtags. 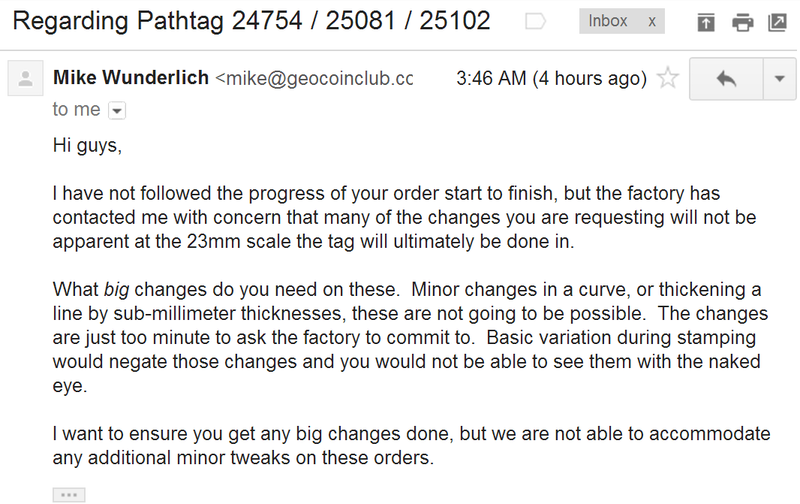 If you find that your dropped tags aren’t being logged, or if you have no interest in collecting other tags, or if you can’t afford to trade/give away $3 coins for free, then I strongly advise cutting out the middleman and going directly to a factory in China for custom coins. It will prove to be much cheaper with far fewer restrictions this way, especially if you’ve already got a vector outline of your custom artwork ready. 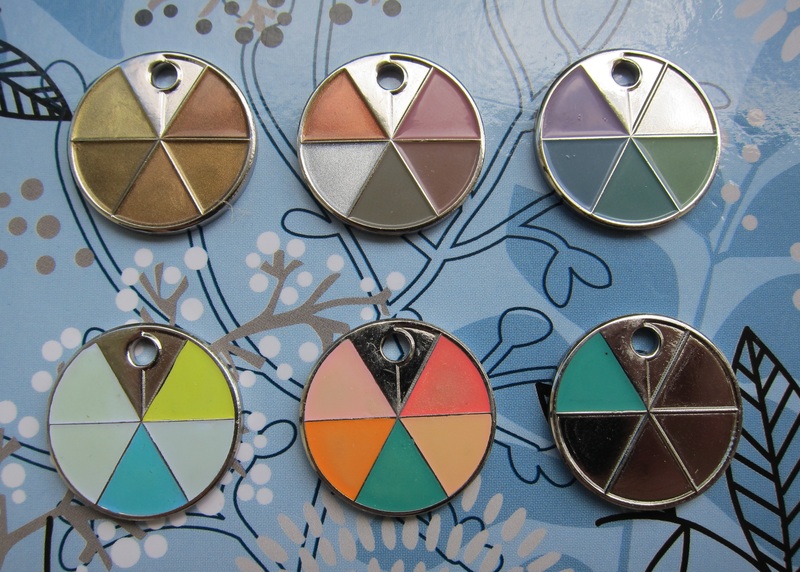 You’ll be able to freely customise both sides of your coin, choose your own sizes, colors and special enamels. This freedom will come at the cost of not having a serial number, coin collection gallery or logging system for your coin. Well, so concludes this very long review of Pathtags. Their saving grace is the fact our 8 tag set was completed in the end, because now we can finally start handing them out. The finished tags are pretty nifty, and now that our tag set has been approved, we can finally try out some new tag features on them in the future! Please let me know when you have all three tags in, I like to purchase all three tags and save on postage.